It’s a big difference between the U.S. and Germany. BMW manufactures expensive vehicles for customers in America, and this is also true in Germany, but BMW is also known in its home market as a supplier for several police and emergency services. With the Bavarian company about to enter the electric motorbike market, it’s introducing this week a police version of its upcoming C evolution electric model (it will launch next Spring in Germany). It may be successful among those clients! 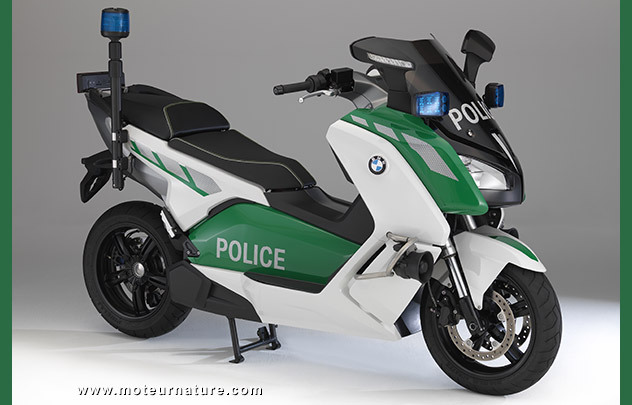 Most bikers who ride a BMW may not like the idea of an electric propulsion, but the police should. Silent, without any emission, and cheap to run, the BMW C evolution is the perfect solution to anyone working with a fixed area and a precise schedule. Then all police facilities include parking spots, so it could be the perfect match. 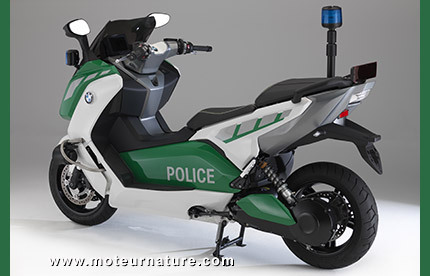 Better get ready for the sight of an electric BMW police motorbike in your rear view mirror!